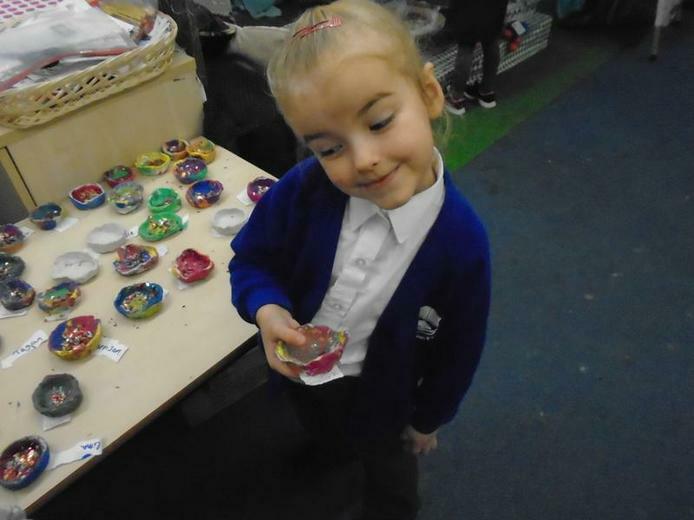 We enjoyed celebrating Diwali, the Hindu festival of lights. 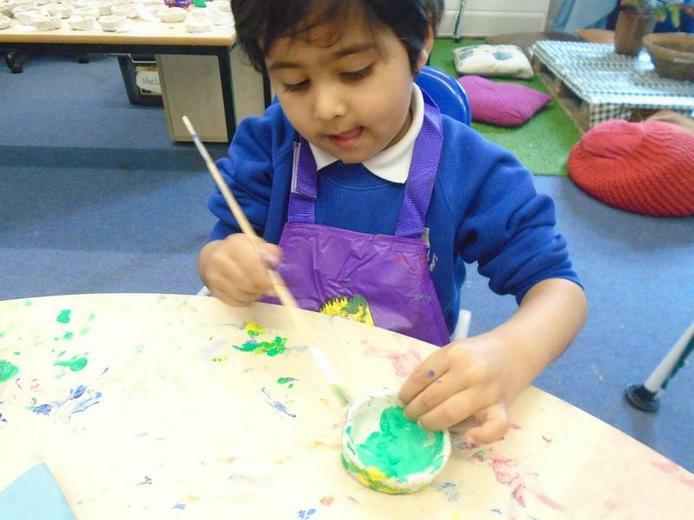 We read the story of Rama and Sita which taught us the message - "victory of light over darkness, good over evil and knowledge over ignorance." 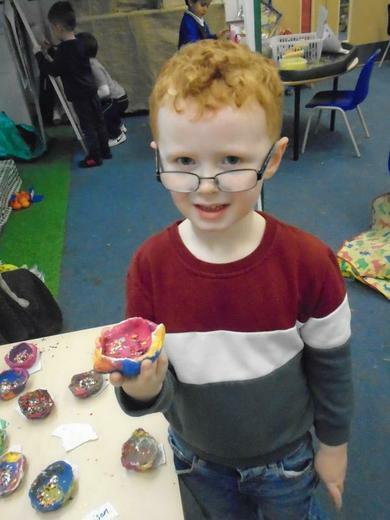 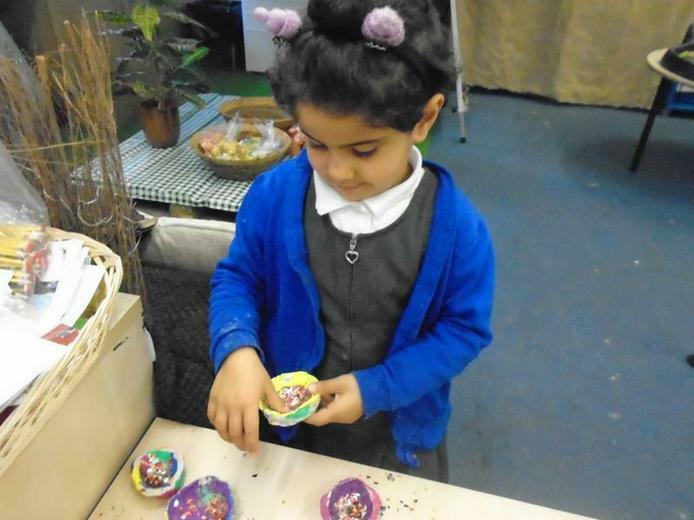 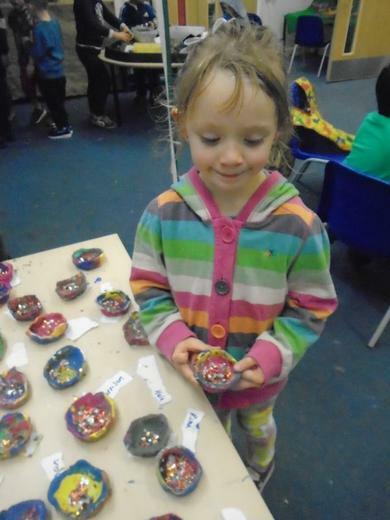 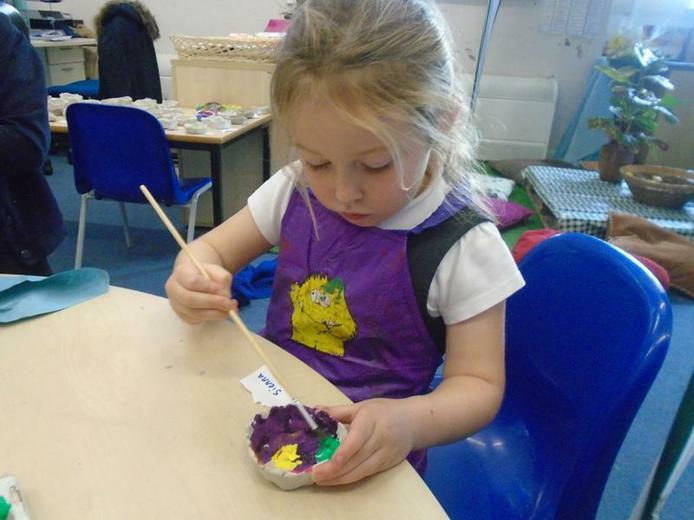 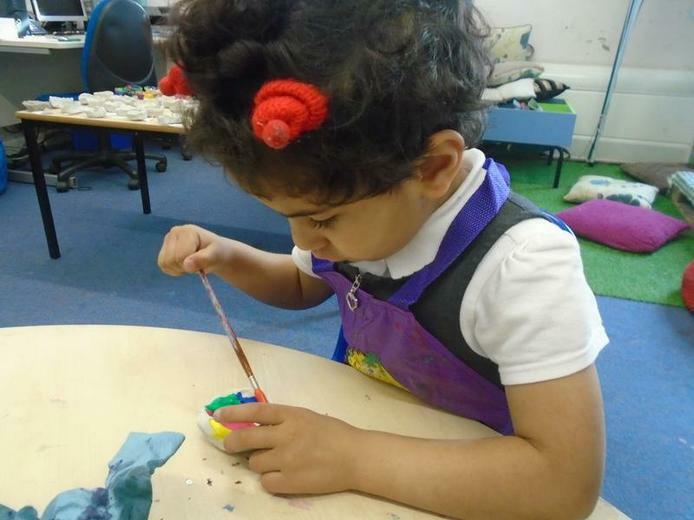 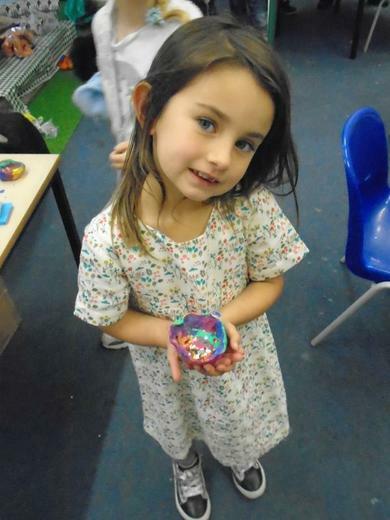 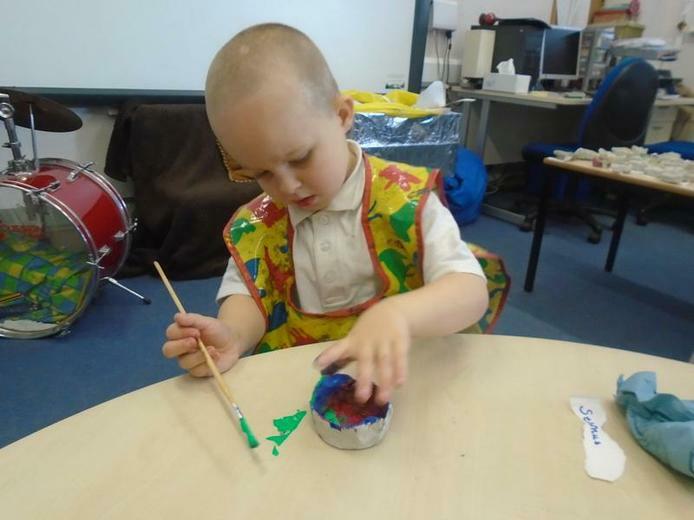 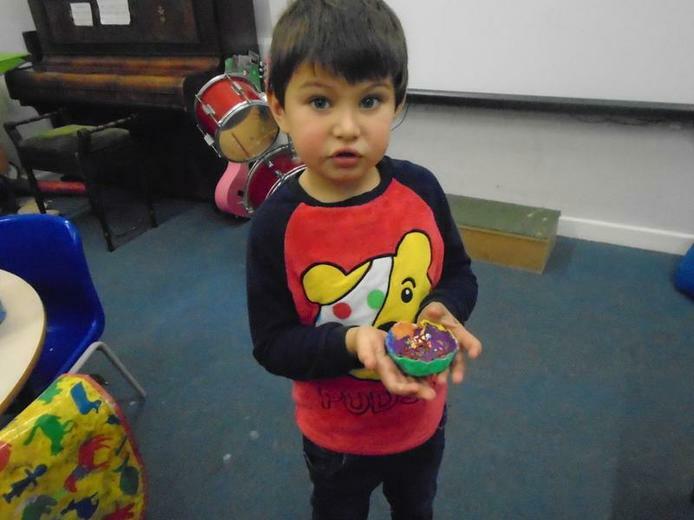 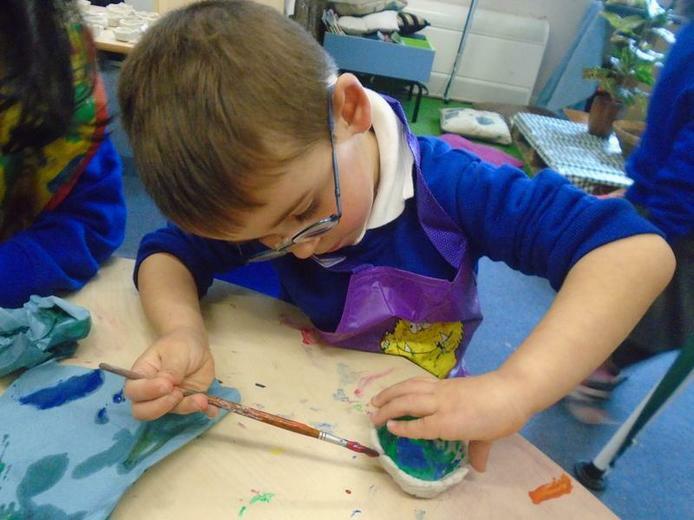 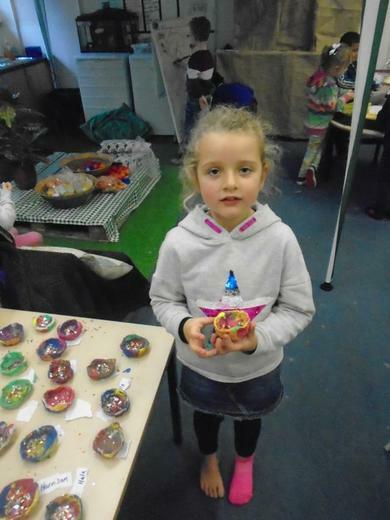 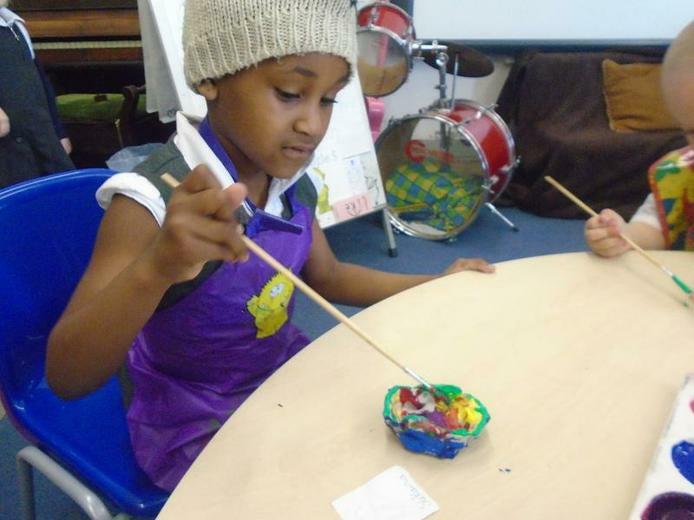 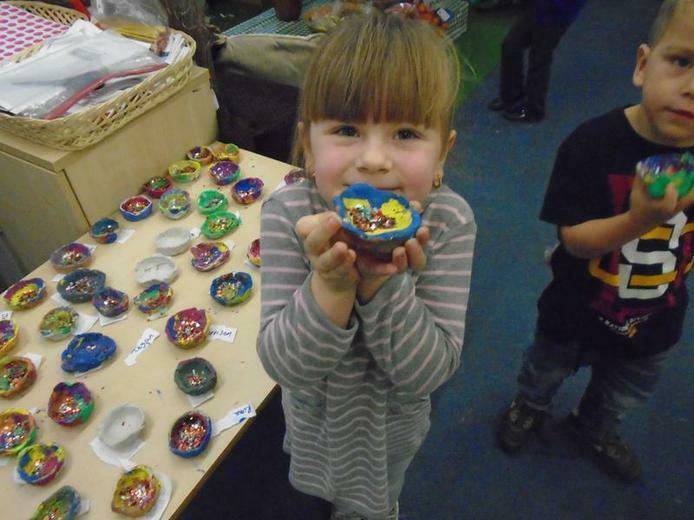 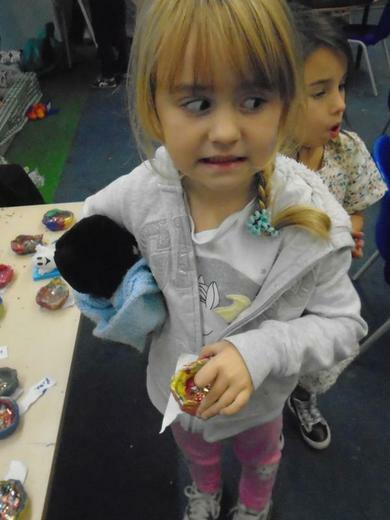 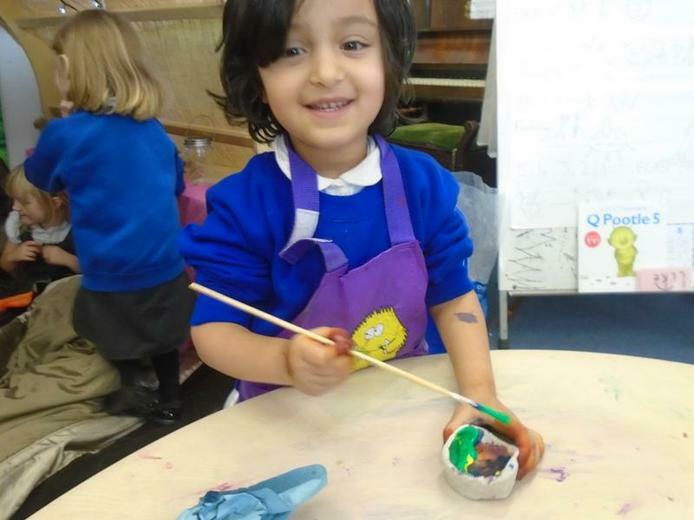 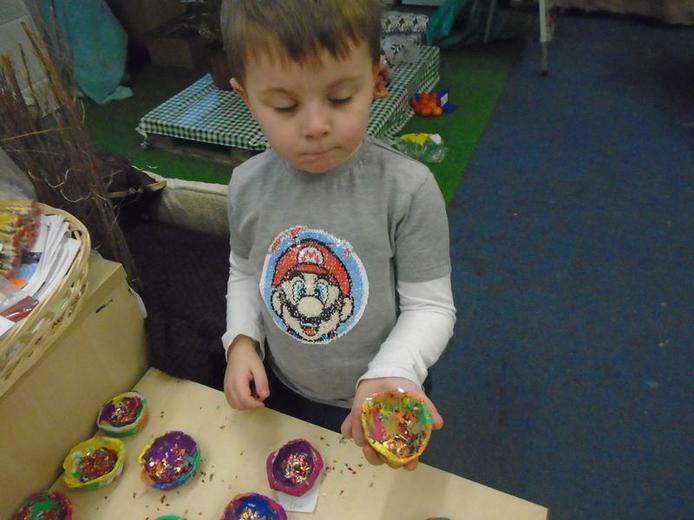 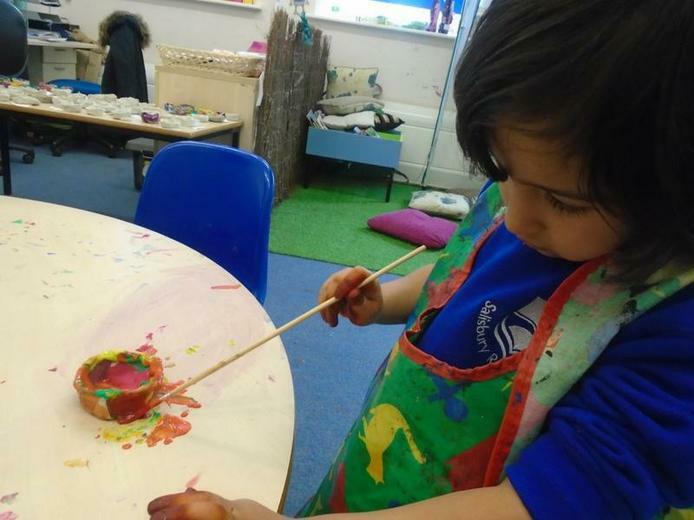 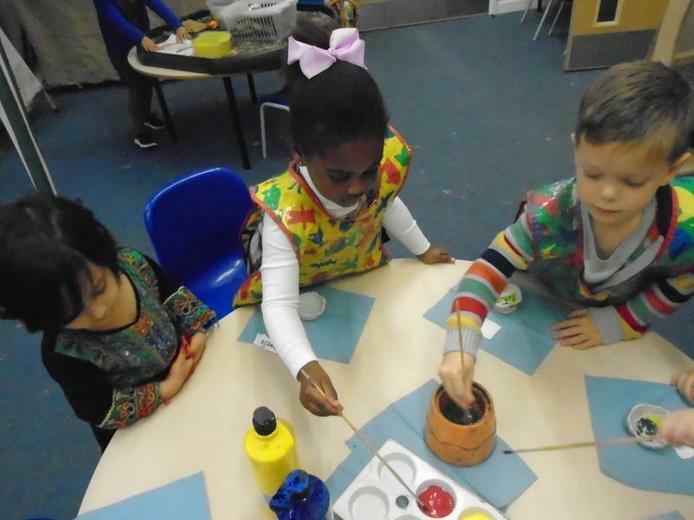 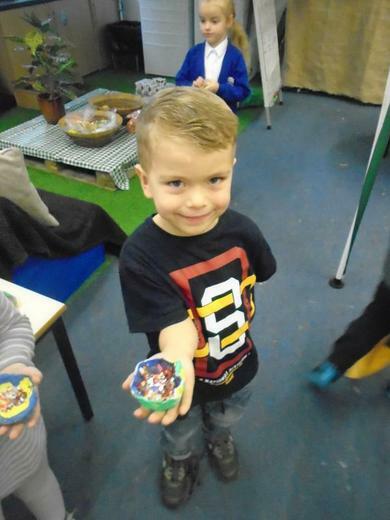 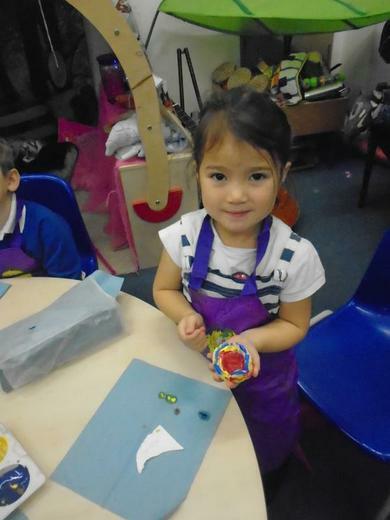 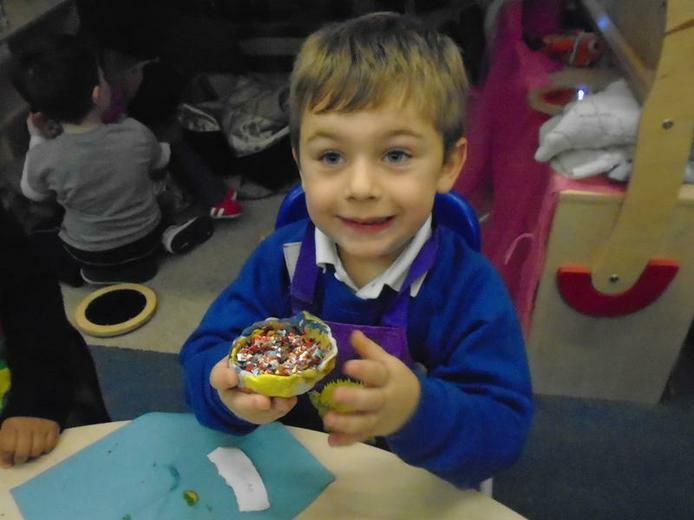 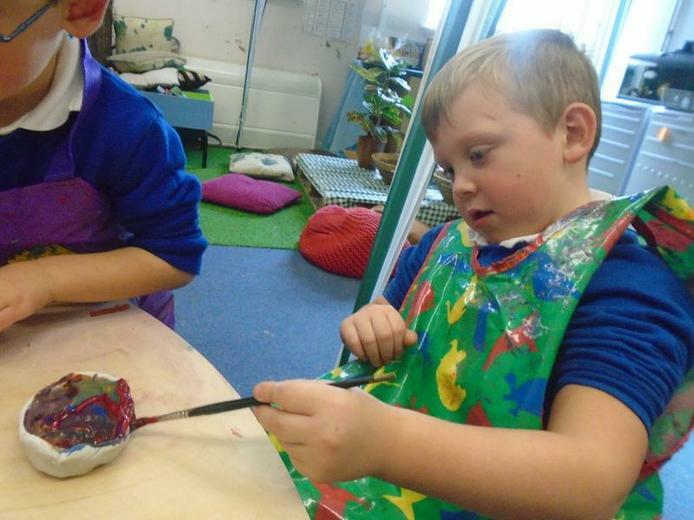 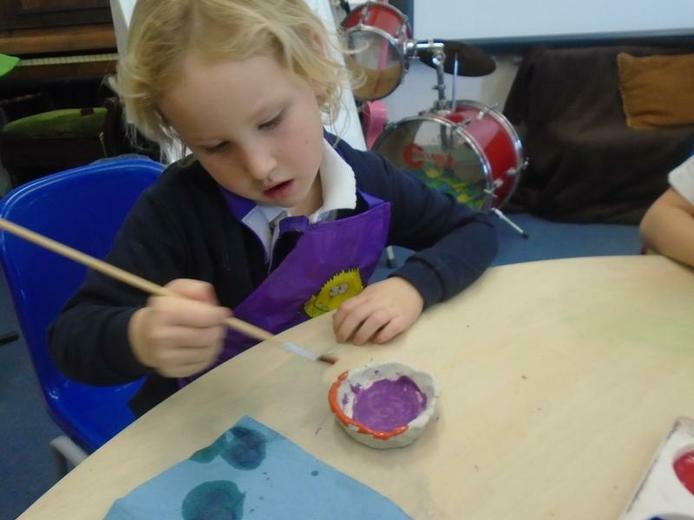 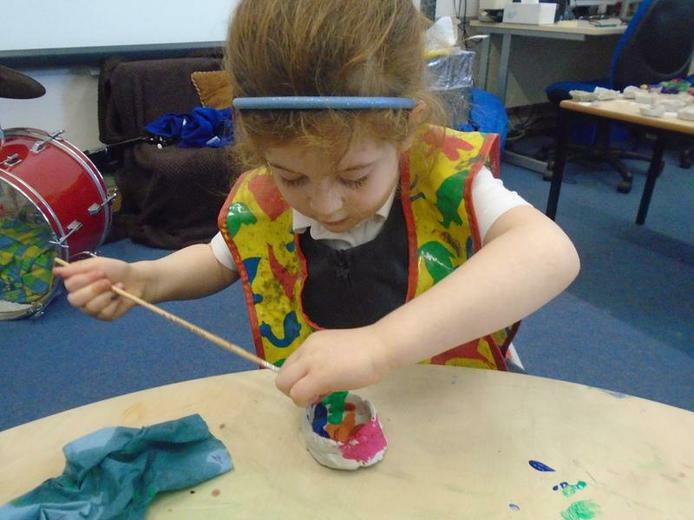 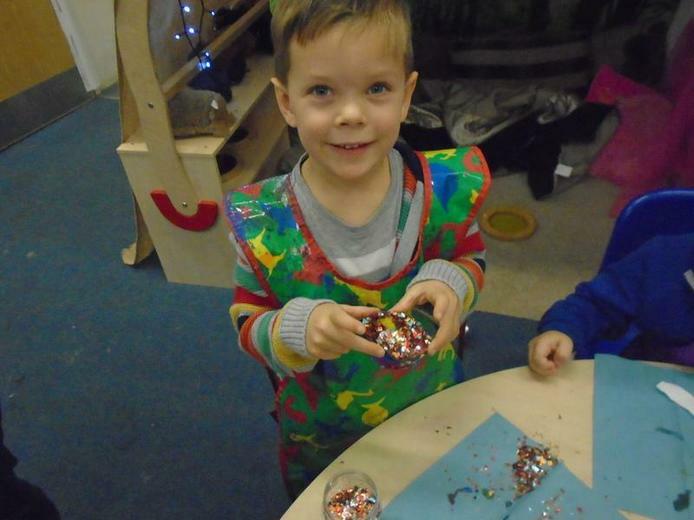 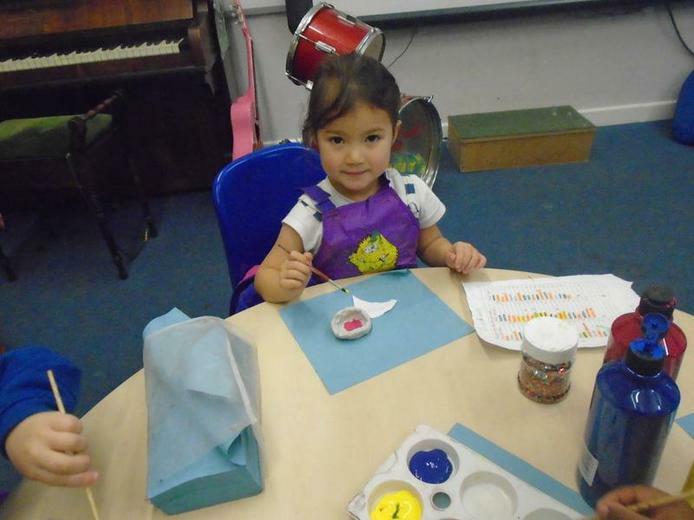 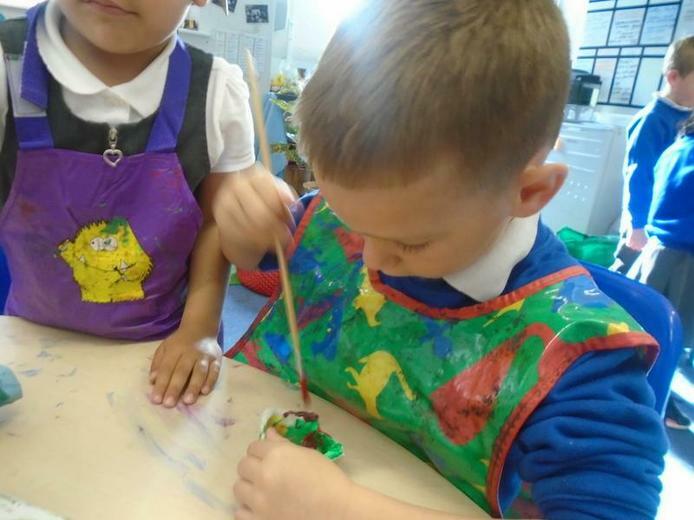 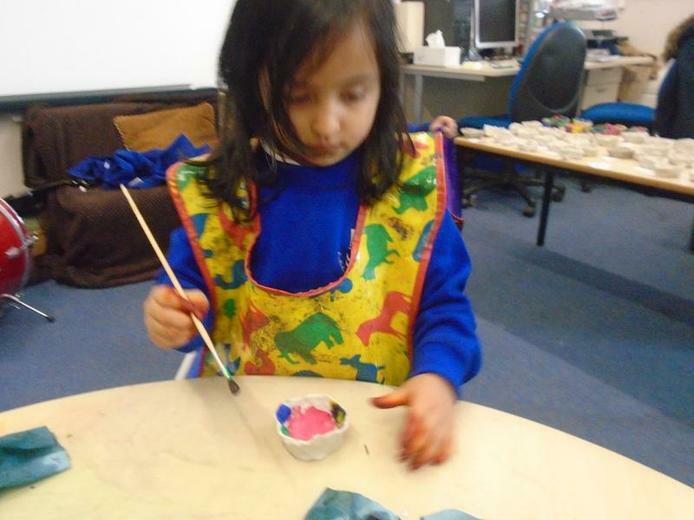 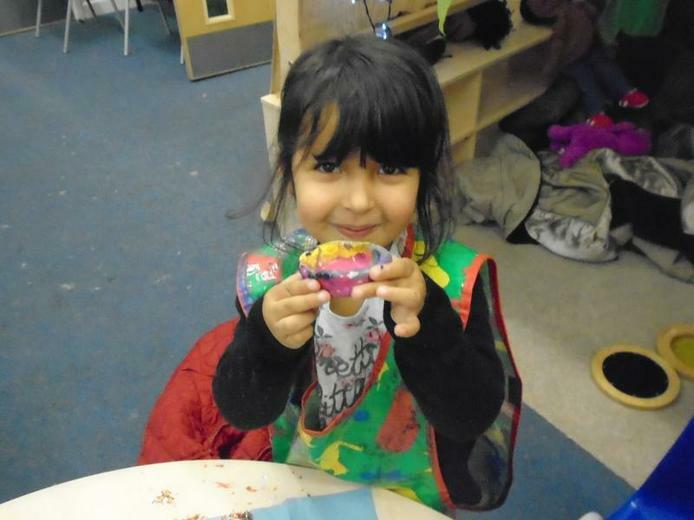 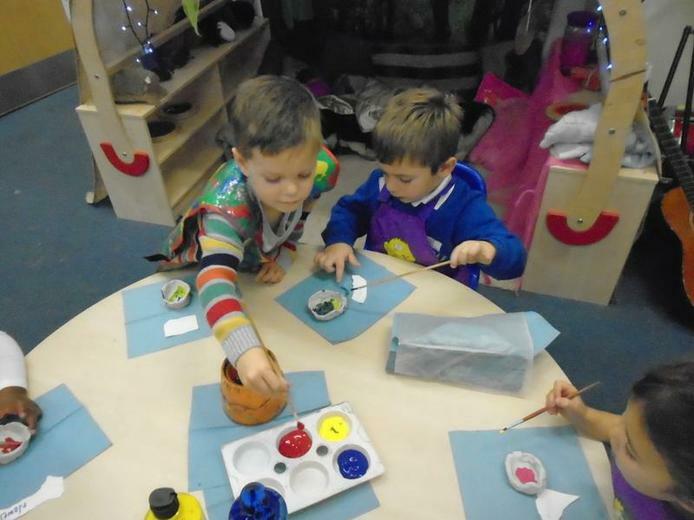 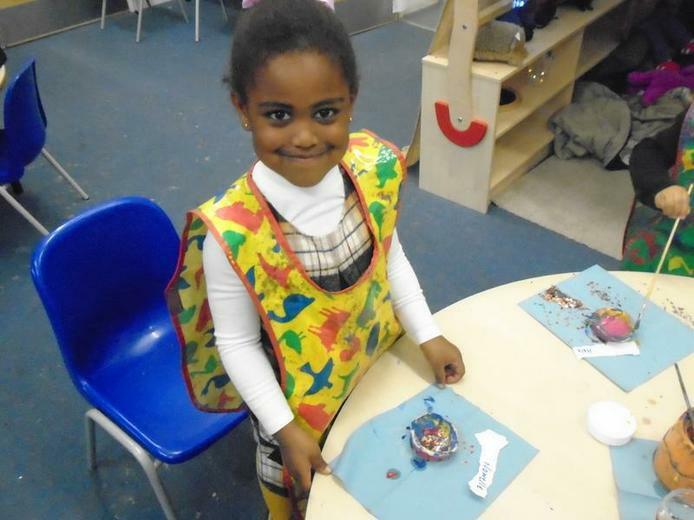 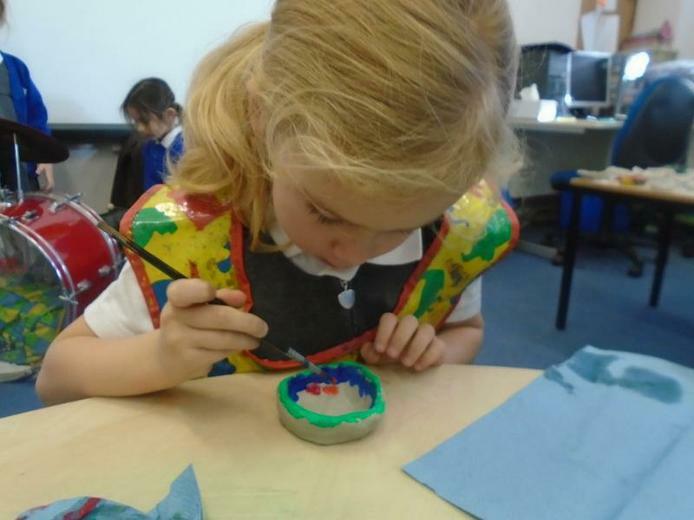 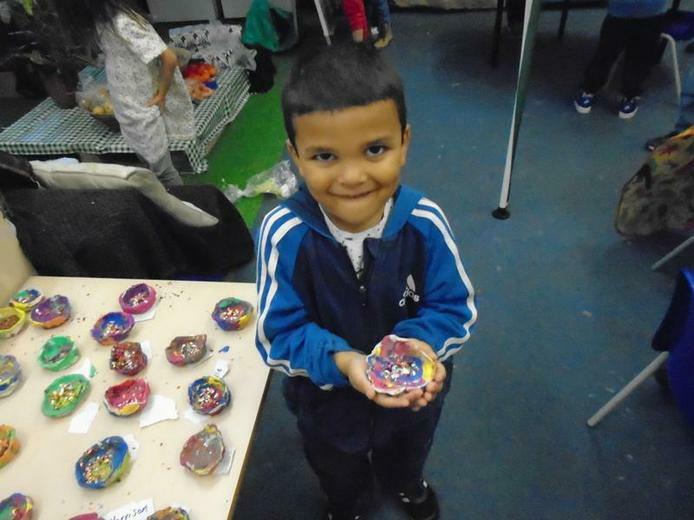 Everyone made a Diva lamp out of clay and then painted it with bright colours and glitter.